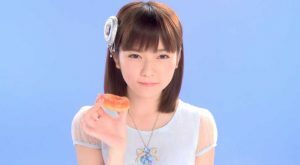 In Japan, today is summer’s doyou no ushi no hi — the literal meaning is hard to explain, so let’s break down some Japanese vocabulary! 土用 (doyou)　→　this refers to the 18 days before a seasonal change for each season. 丑の日 (ushi no hi) →　literal meaning is “Day Of The Ox”. An unagi restaurant was having a hard time selling unagi during the summer time, so the owner seeks the advice of a famous inventor at the time named Hiraga Gennai. Hiraga Gennai tells the shop owner, “You should put up a poster saying that today is ‘Ushi no Hi‘ (Day of The Ox)”. After the owner did so, the restaurant became very prosperous! 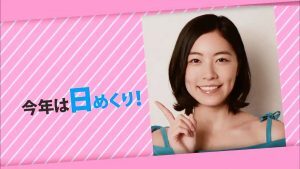 The idea behind Hiraga Gennai’s suggestion is that there was a custom at the time that eating foods that start with “u” on “ushi no hi” would help beat the summer heat. As a result, other unagi shops started doing the same thing, and eventually it became a tradition to eat unagi on ushi no hi during summer times. A strange fact about unagi: raw unagi is actually poisonous! Cooking it makes it not poisonous. If you ever wonder why you never see unagi sushi, or something like that, this is the reason. 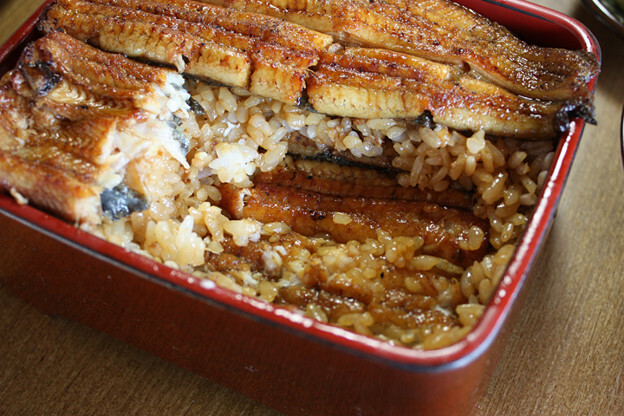 Unajuu – unagi with rice in square box! There is such thing as unadon, which is eel over rice bowl, similar to beef bowl (gyudon). 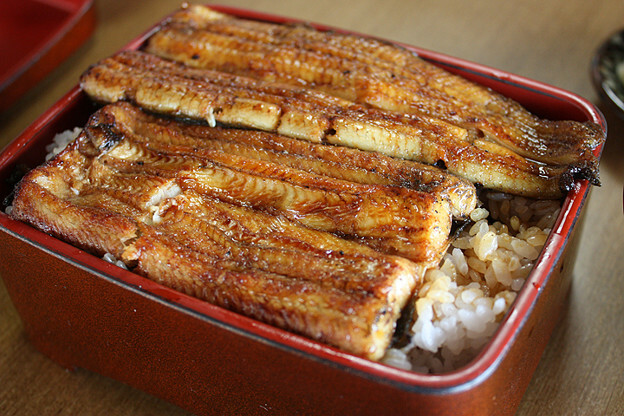 However another popular way to serve unagi is called unajuu, which is similar to unadon, except that it’s served in a square bowl / box, and it often has many layers of rice and unagi. But wait, there’s more! Ushi no hi happens twice during the doyou period of summer. If you’re unable to eat some unagi today, you can also try again on August 5th, 2015. What do you think? Will you try some eel today!? 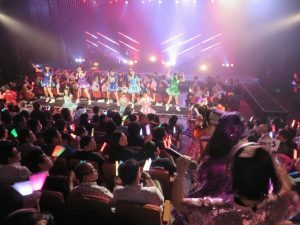 Previous PostShould otaku worry about clothes when meeting their favorite idols?Next PostNGT48 1st generation auditions completed! They have a stores-chain there serving unagi-pie. In march a store opened on Omotesando. It’s not exactly same, just the shape! Maybe it’s close enough though, lol. nowadays, unagi is very expensive because of fishing restriction. I can’t afford it.